Newport is looking at implementing the NH Department of Environmental Services (NHDES) Model Water Use Restriction Ordinance. A mandatory water restriction was put in affect in October. Public Works Director Larry Wiggins said that the Water Department has lower the output of water from Gillman Pond from over 500,000 gallons a day to 250,000 gallons a day and the pond is still declining about an inch a day. The town has started using water from the town’s well at Pollard’s Mills to supplement its supply. Newport may even forego having their ice skating rink this winter due to the drought. 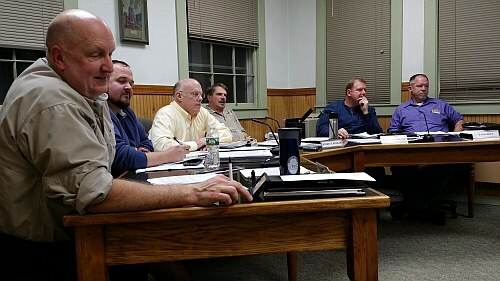 According to the Newport select board Chair Jeff Kessler and Interim Town Manager Hunter Rieseberg not having the rink this winter is on the table. They continue to say that the recreation department is looking at other means to get water for the rink. In addition, the recreation department is considering initiating new outdoor activities for its winter carnival. A public hearing on the new water restriction ordinance is scheduled for Monday, Dec 5 at 6:30 pm in the Newport Select Board Room. One aspect of the ordinance calls for fines of $100.00 for the first offence, $500.00 for the second, and $1,000 – $10,000 for the third offence. This entry was posted in community, Newport, news, NH on November 22, 2016 by GrowingInArt. 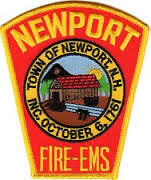 The Newport Police Department Emergency Communications Center received a call at 12:27P.M., reporting heavy black smoke in the area of Brown Rd. While en route dispatch updated caller reporting shed fire. Upgraded to 1st Alarm. Initial units arrived on scene at 12:30PM with fire from the rear of a barn structure and heavy smoke showing throughout also found fully involved pole barn. Upon arrival of the first unit a second alarm was called. There were no residents home at the time of the fire. Entry was made into the barn multiple Pigs and Birds were discovered. Bulk of the fire was knocked down in the barn and assistance was made to remove 6 Pigs. All 7 pigs were safely removed from the building however one was missing and other pigs were assisted with water to cool them down and oxygen. Multiple Birds were lost in the fire. Newport Fire-EMS received assistance from several mutual aid towns. Responding to the scene were Newport Police Department, Lempster, Goshen, Claremont, Sunapee, New London, Grantham, Croydon and Newbury Fire Departments. Covering the Newport Fire Station were the Lempster and New London Fire Departments. This entry was posted in Fire, Fire Department, Newport, news, NH on November 14, 2016 by GrowingInArt. Despite recent rain and Newport residents conserving water, the mandatory water restriction for the town remains. On Monday, the Select Board thanked residents for their cooperation with the mandatory water restriction but said the water table remains the same. The mandatory restriction was put in effect on October 4 following a voluntary water restriction in August due to NH drought conditions. This entry was posted in Newport, news on November 10, 2016 by GrowingInArt. Reports of Trump having no ground game may be exaggerated. On Sunday, a group of Sullivan County Republicans were in Newport knocking on doors. The volunteers were supplied with software developed for the door knocking campaign along with signs, bumper stickers, and door hangers. Cindy Howard Chair of the Sullivan County Trump Team said their goal was to reach the undecided voters. Make sure you tune in for WNTK’s live election coverage on Tuesday starting at 7 pm for local and national election results. This entry was posted in Newport, news on November 7, 2016 by GrowingInArt. On October 23, 2016 at approximately 6:15 pm the Newport Police Department received a report of a road rage incident that involved a subject shooting four rounds from a moving vehicle in the direction of the reporting victim’s vehicle. Nobody was injured during this incident. 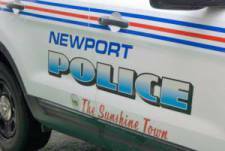 It was reported that this stemmed from a road rage incident that occurred in Newport on the night of October 21st that was not reported to the Newport Police Department. After receiving the report on October 23rd the Newport Police Department requested that area departments look for the suspect’s vehicle which had distinct traits making it easy to identify. A short time later Bradford Police Department called and identified who the vehicle was associated with. The investigation revealed that the suspect resided in Newbury. The Newbury Police Department was able to locate the vehicle at the suspect’s residence. Newport Police Department sought and was granted a search warrant for the suspect’s vehicle and home. The execution of the warrant revealed evidence of the crime. Additional video evidence was obtained from several sources to assist with identifying the suspect in this case. Interviews were then conducted with the parties involved and subsequently identified the suspect as Nathaniel Hargreaves 18, of Newbury NH. Nathaniel subsequently turned himself in at Newport Police Department and he was arrested for Reckless Conduct with a Deadly Weapon, a class B Felony. The weapon was found to be a Weatherby 12 gauge shotgun and Newport Police Department does have possession of the firearm at this time. These road rage events are believed to be connected, but an isolated incident between the two involved parties. Hargreaves posted $10,000 cash bail and will be arraigned on Tuesday November 8, 2016 at the Newport Circuit District Court. The Newport Police Department thanks Newbury, New London, Henniker, Goshen, and Bradford Police Departments for their assistance with this case. This road rage and shooting incident remains under investigation.Anyone that may have witnessed either event is asked to contact Lieutenant Rowe at the Newport Police Department at 603-863-3232. This entry was posted in arrest, Newport, news, NH, police on October 29, 2016 by GrowingInArt. After a year and a half of planning the Newport Select Board and Newport School District met on Monday night to review plans for combining financial resources. Newport’s Finance Director, Paul Brown presented two draft options to the boards. The first plan was to have a cooperative agreement where either the school or town would contract services from the other. The second plan was to create a new finance association similar to an SAU that serves two school districts. One surprise in the presentation was there would be no immediate financial savings, calling for the elimination of only one or two positions. Newport resident Bert Spalding Sr,. a proponent of the idea expressed disappointment in the presentation. School Superintendent Cindy Gallagher explained that one reason there are no immediate savings is because of the deep budget cuts to this year’s school budget. Terry Wiggins the school district’s Business Manager said that although the savings would be small, combining the resources and would be more efficient and productive. 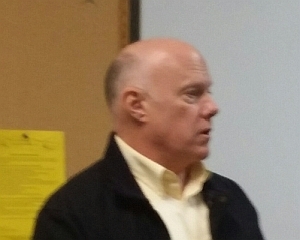 Select board member, Todd Fratzell suggested having a trial period of a finance association for one year. Finance Manager Paul Brown said it could be option three. No action was taken on the plans. Any plan decided on will go before the Newport voters. This entry was posted in Newport, news, NH on October 25, 2016 by GrowingInArt. A collision involving a commercial truck on I-89 in Grantham just after 11:00 am yesterday had the road closed for several hours. 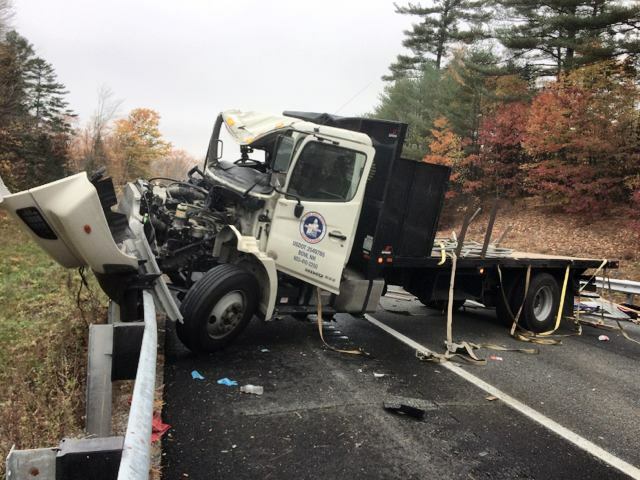 Police say a white Hino Flatbed transporting lumber and scaffoldings crashed into the guard rail on I-89 causing obstruction of travel in both lanes. The driver 28-year-old Eric Dechellis of Manchester was transported to Dartmouth Hitchcock Medical Center for treatment of non-life threatening injuries. An investigation showed that Dechellis fell asleep while driving to Burlington VT for New England Scaffolding Services in Bow NH. No other vehicles were involved in the crash. This entry was posted in accident, Newport, news on October 19, 2016 by GrowingInArt. Newport has a new Interim Town Manager. 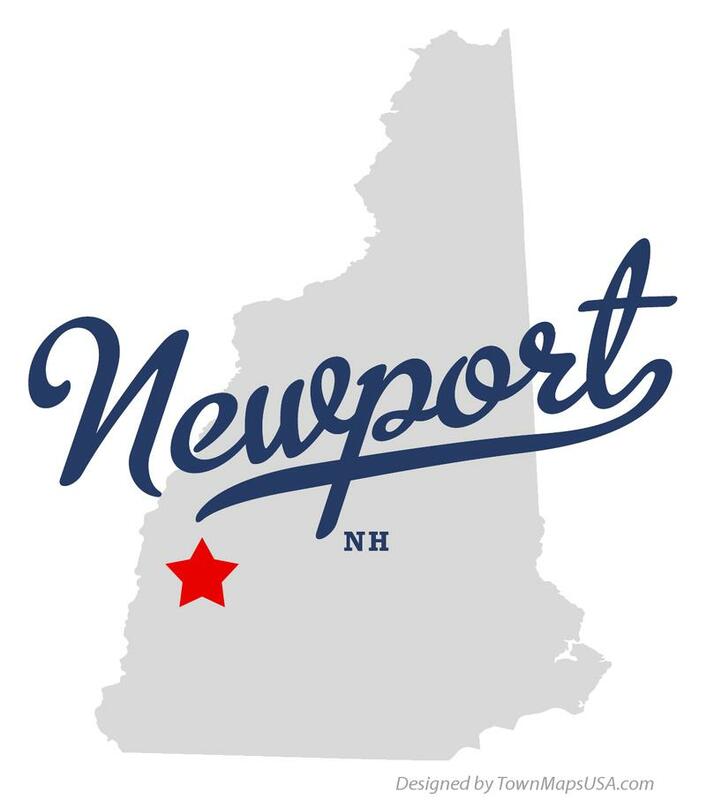 At their Monday night meeting the Newport Select Board voted unanimously to hire Hunter Rieseberg as interim town manager. Chair Jeff Kessler made the motion. Rieseberg starts the interim position today and will also act as Tax Collector. addressed the audience and thanked the select board for the appointment. The new interim invited residents of Newport to stop in any time since he has an open door policy and believes in transparency. Rieseberg stepped down as Hartford VT’s town manager in August of 2015 after 20 years of service and a salary of $133,000. Prior to working for Hartford VT, Rieseberg served as town manager in Hampton, Jaffery, Durham, and Epping NH. This entry was posted in Newport, news, NH on October 18, 2016 by GrowingInArt. The Town of Newport and the Newport School District are moving forward on plans for a one financial house. School district superintendent Cindy Gallagher said she and Business Manager Terry Wiggins have been crunching numbers for preparation of a meeting with Newport Select Board next week. Gallagher said it is important meeting. The town and school district hope to share some services as well as paying for only one Finance Director. A meeting to present the plan to public is tentatively scheduled for Monday, Oct. 24 at 6:30 pm in the Lou Thompson room at the Sugar River Valley Regional Technical Center on North Main Street. This entry was posted in community, financial district, Newport, news, NH on October 14, 2016 by GrowingInArt. Southwestern Community Services (SCS) announced the reinstatement of public transportation service in Sullivan County on Thursday. Transportation services will resume on Tuesday Oct 11. 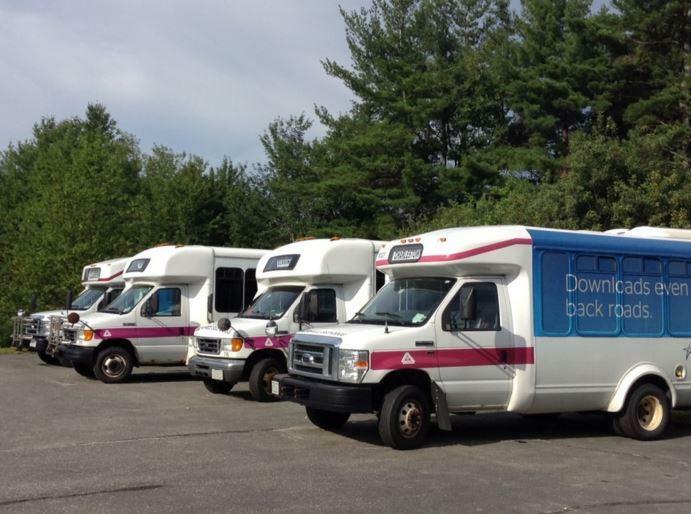 Service in Newport will operate from 6 am – 5 pm, in Charlestown from 7 am- 5pm, and Claremont from 8 am -5 pm and will run Monday through Friday except for Federal Holidays. SCS will operate a Deviation Route Service in Charlestown, Claremont, and Newport. The Deviation Route Service allows for the buses to deviate off the established route up to one quarter mile to pick up and drop off passengers. Passengers who would like to request a deviation must call (603) 477-9423 and need to provide the address of the requested pick up. Passengers are encouraged to call to schedule deviations at least one business day in advance. This entry was posted in community, Newport, news, NH on October 6, 2016 by GrowingInArt.